Preface; Book I: 1. Introduction; 2. Morality and law; 3. Moral reason; 4. Pleasure and desire; 5. Free will; 6. 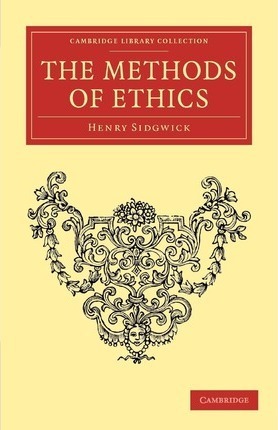 The methods of ethics; 7. Egoism and self-love; 8. Intuitionism; 9. Good; Book II. Egoism: 1. The principle and method of egoism; 2. Empirical hedonism; 3. Empirical hedonism (continued); 4. Hedonism and common sense; 5. Happiness and duty; 6. Other forms of the egoistic method; Book III. Intuitionism: 1. Intuitionism; 2. Virtue and duty; 3. The intellectual virtues; 4. Benevolence; 5. Justice; 6. Law and contract; 7. Classification of duties. Truth; 8. Other social duties and virtues; 9. Selfregarding virtues; 10. Courage, humility, 11. Review of the morality of common sense; 12. Motives or springs of action as subjects of moral judgment; 13. Philosophical intuitionism; 14. The summum bonum; Book IV. Utilitarianism: 1. The meaning of utilitarianism; 2. The proof of utilitarianism; 3. The proof of utilitarianism (continued); 4. The method of utilitarianism; 5. The method of utilitarianism (continued); 6. The sanctions of utilitarianism; Supplement to the first edition of The Methods of Ethics, containing all the important additions and alterations in the second edition, 1877.